This March 25, Earth's most iconic landmarks will switch off their lights for Earth Hour 2017. the Filipino youth leading the worldwide campaign. Everyone is encouraged to turn off their lights for an hour, from 8:30-9:30 PM as a symbolic action to raise awareness about the threats of climate change. 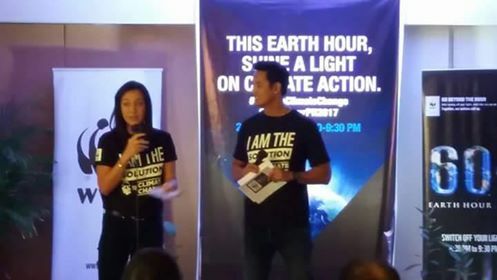 WWF National Ambassador Marc Nelson and WWF National Youth Council Chairperson Alexa Cancio led the launch of #EarthHourPH2017 last March 8, 2017 in Discovery Suites, Ortigas Center. A large focus of #EarthHourPH2017 will be on galvanizing the youth to be the climate leaders of tomorrow. NYC members will lead an Earth Hour Camp that will feature interactive climate adaptation and mitigation booths at the Mall of Asia Complex from 4 PM. 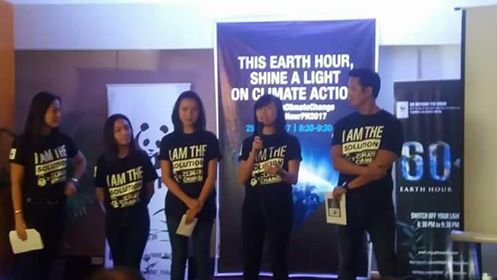 Everyone was abuzz with the Earth Hour camp to be spearheaded by the youth, and a switch-off powered by human energy to light up an image of the Earth, proving that Filipinos can shine a light on climate change action together. “While the theme of Earth Hour remains at Shining a Light on Climate Action, we took to heart the role of the youth as the key to further propel the country into a climate-resilient one. We continue to engage and encourage the public to emphasize that together, we thrive,” says WWF-Philippines President and CEO Joel Palma. 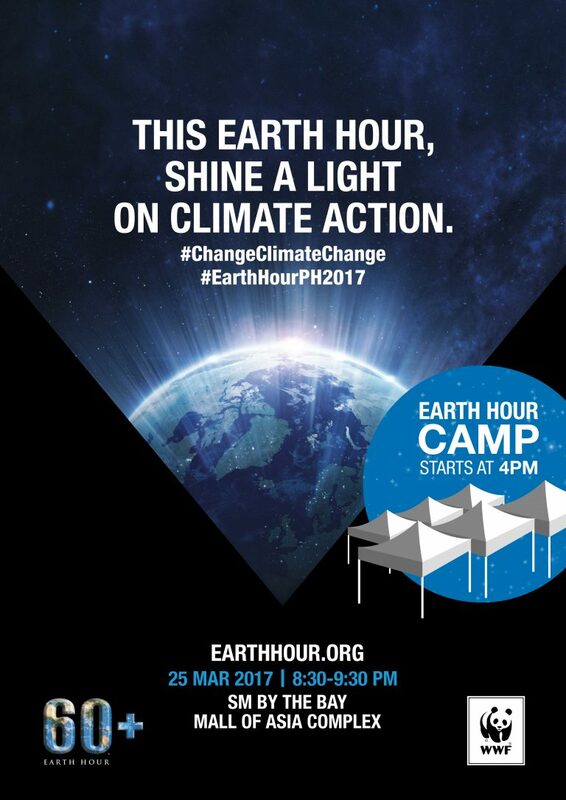 Join the conversation in Social media using the official hashtags, #EarthHourPH2017 and #ChangeClimateChange to promote commitment to the planet. Everyone is highly encouraged to use as well as to upload the best photo(s) of their event on to the official Facebook event page bit.ly/earthhourph2017_event.